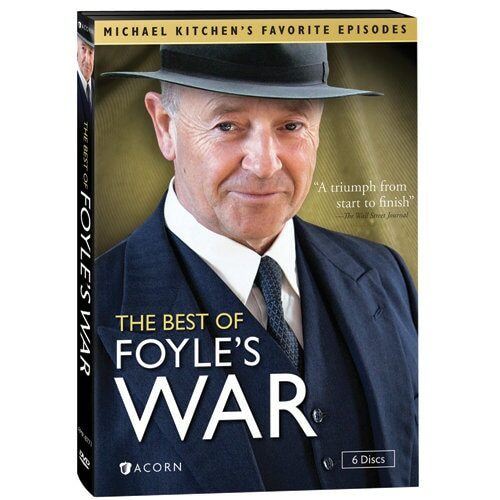 Michael Kitchen won a legion of dedicated fans as the enigmatic detective chief inspector Christopher Foyle in the acclaimed PBS series set in WWII England. These six feature--length episodes-each specially selected by Kitchen-represent the best of the award-winning mystery. 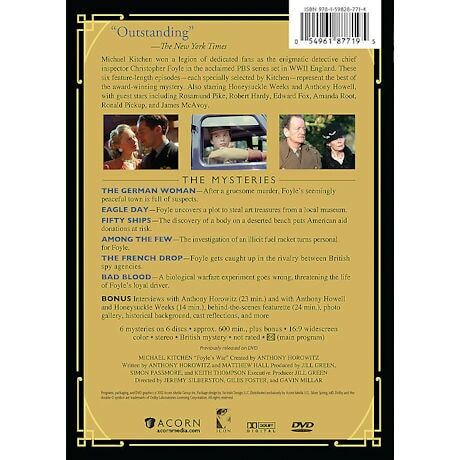 Six mysteries on 6 DVDs, approx. 600 minutes, CC. After a gruesome murder, Foyle's seemingly peaceful town is full of suspects. Foyle uncovers a plot to steal art treasures from a local museum. The discovery of a body on a deserted beach puts American aid donations at risk. The investigation of an illicit fuel racket turns personal for Foyle. Foyle gets caught up in the rivalry between British spy agencies. A biological warfare experiment goes wrong, threatening the life of Foyle's loyal driver. Starring Micheal Kitchem, Honeysuckle Weeks and Anthony Howell, with guest stars including Rosamund Pike, Robert Hardy, Amanda Root, Ronald Pickup, and James McAvoy.